ONCHAN, Isle of Man – December 21, 2017 – Kicking-off on Christmas Day, the Winter Series will be the first online series at PokerStars to award PokerStars Players No-Limit Hold’em Championship Platinum Passes. Five Platinum Pass packages, worth a total of $150,000, will be awarded to the four Main Event winners and one All-in Shootout winner. Each pass will cover the $25,000 tournament buy-in as well as accommodation at the Atlantis Resort in the Bahamas and up to $2,000 in travel costs. The PokerStars Winter Series takes place from December 25, 2017 to January 7, 2018, and will have a prizepool of over $25 million across 152 tournaments and tiered across four buy-in levels. It will be the first opportunity for players to win a Platinum Pass following the announcement of the tournament at PokerStars Championship Prague, where PokerStars awarded the first two Platinum Passes during the bubble of the Main Event. 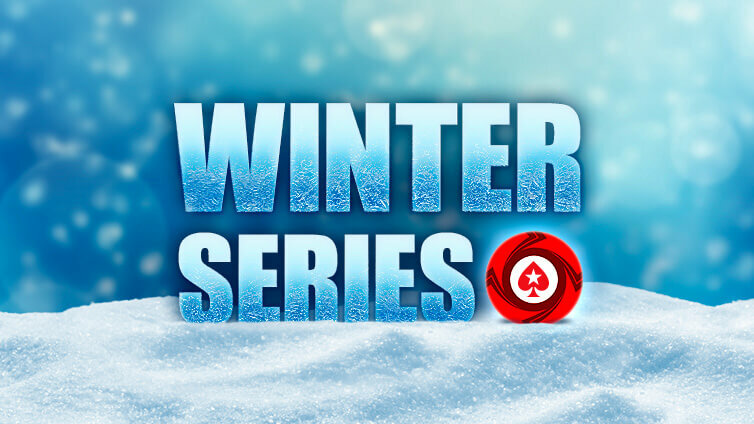 The Winter Series will have a range of buy-in levels across 38 events to suit all players. The winners of each of the Micro ($2.20), Low ($22), Medium ($215), and High ($2,100) level Main Events, which all take place at 13:00 ET on January 7, 2018, will also win a Platinum Pass. In addition, all Winter Series entrants will be entered into a free special Winter Series All-in Shootout on January 8, 2018 at 15:00 ET to secure the last free pass. “The $30,000 value of each Platinum Pass will dwarf the Micro Main Event first prize and add a lot of value to the other tournaments making them must-play events. We’re excited to start giving out the $8 million in Platinum Passes over the course of 2018,” said David Carrion, PokerStars Director of Marketing. PokerStars will award more than 300 Platinum Passes during 2018 through a variety of routes allowing players of all bankrolls to play in the PokerStars Players No Limit Hold’em Championship. Winter Series tickets will also be available to win through $35 Spin & Go’s and freerolls that will run on December 24 at 15:00 ET and December 31 at 10:00 ET for the New Year’s Eve Magic Freeroll, which will have $15,000 in freebies. Watch this video to find out the other routes to win a Platinum Pass in January.